As the heat-shield parts in the sapphire growth furnace, the most decisive function of molybdenum reflection shield is to prevent and reflect the heat in the furnace. Heat-shield parts with high-density, exact-measurement, smooth-surface, convenient-assembly and reasonable-design has great significance in improving the crystal-pulling. 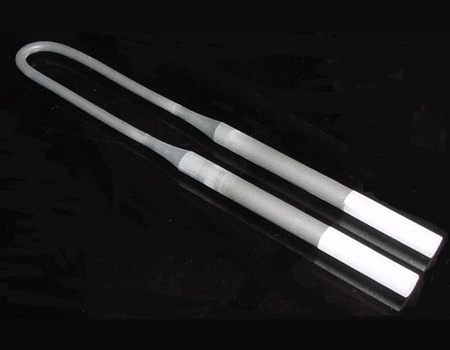 Molybdenum disilicide(MoSi2) heating elements for element temperatures up to 1800C(3270F), Our MoSi2 heating elements are available as straight or bent elements in a wide range of shapes and sizes, All characterized by long life and consistant perfomance. Dia: 3/6, 4/9, 6/12, 9/18, 12/24 etc. You need other types ,we can design it . www.zirwell.com is our website,feel free to visit it pls.